Many people have asked me the best way to keep in touch while on a cruise. While the post card works well, today electronic means are better. 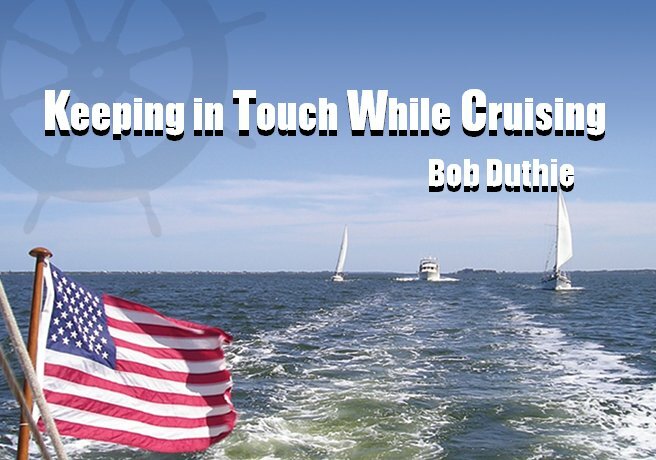 You can download a 5MB PDF copy of the presentation I gave at the Ft Lauderdale PassageMaker TrawlerFest in January 2011 by clicking Keeping In Touch.